Selected as Party of the Day on October 23rd! Cue the Confetti! Bailey is Five! 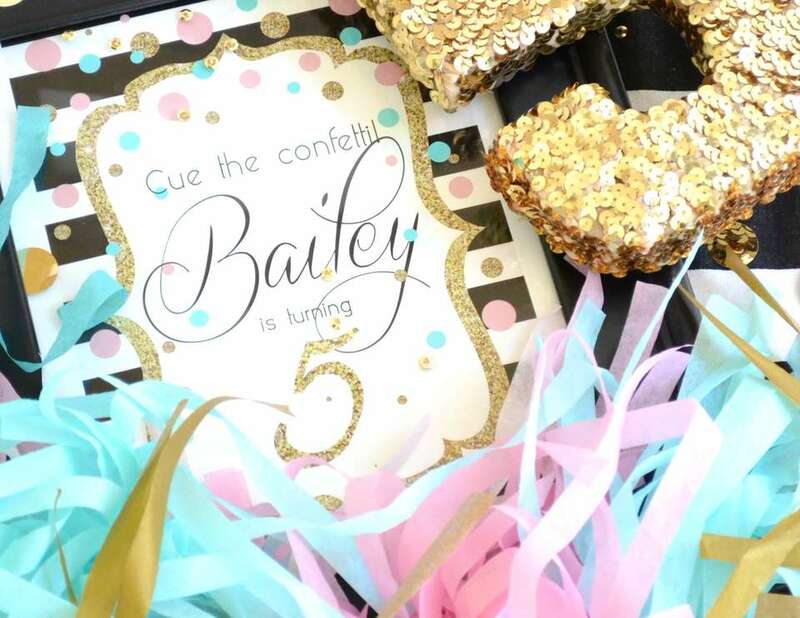 After months of trying to find the perfect theme for my daughters fifth birthday, she finally decided that, in true Bailey style, all she wanted was a glittery, girlie, FUN party and most importantly...NO BOYS ALLOWED! Nothing says party like confetti so that became our theme this year. 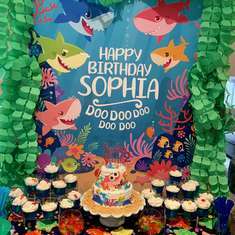 The accent colors were based on her favorite colors of teal, pink and glittery gold and combined with that classic black and white stripe pattern that is so trendy right now. 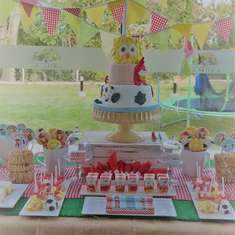 We hired an amazing face painter, had a design your own cupcake bar and even found a local vendor that helped the girls design their own chunky bling necklaces to match perfectly with their beautiful dresses. They lunched on all of my daughters favorite munchies and then enjoyed all of the beautiful treats from the fabulous dessert table. 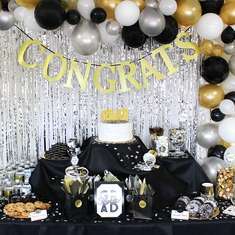 I had a ton of incredibly talented, creative friends that helped me create the perfect birthday party for my princess and I know she'll never forget her beautiful day. My amazing, incredible photographer who captured all of these magical moments. 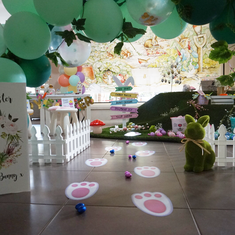 This party is just too cute!! Every single detail as well as the color scheme is pure perfection!! Love it! Where did you get the backdrop from? Where did you get the back drop from?